Greenwood Grange is a collection of beautiful stone-built cottages, perfect for families or groups, with a great range of onsite facilities. 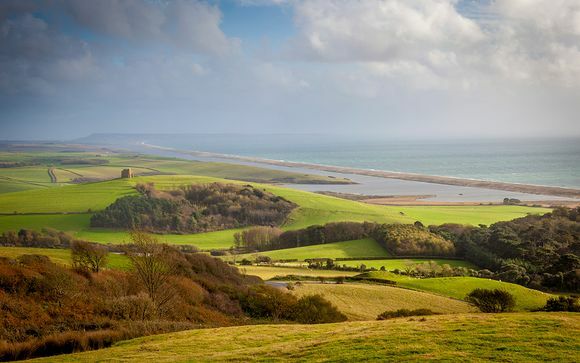 Nestled within the Dorset countryside, the Jurassic coastline is just a few miles away, as well as a wealth of gardens, houses, castles and beautiful villages to explore. Your cosy cottage is large enough for up to 4 adults - perfect for a family getaway this Autumn or Winter. Please note this offer is non-refundable. Greenwood Grange is nestled in the Dorset countryside, just 5 minutes from Thomas Hardy’s birthplace. There are many walks in the area, the Jurassic Coast is only a few miles away and there are a wealth of gardens, houses, castles and beautiful villages to explore. Dorset is perfect for those who love to be within reach of the coast as well as the countryside. The county is perhaps best known for its Jurassic Coastline, which is a World Heritage Site. Lyme Regis, with its thirteenth-century harbour, the Cobb, is a popular and picturesque setting. Inland, there is a wealth of other attractions; the town of Sherborne has an Abbey Church and two castles, one dating from the eleventh century and the other from the sixteenth. Bridport nestles amongst the West Dorset hills and is an ideal centre from which to go walking, horse riding or cycling. History lovers will not want to miss the Tolpuddle Martyrs Museum in Dorchester. Interested in architecture? Why not visit the town of Beaminster with its two hundred listed buildings. There are plenty of attractions throughout Dorset for families with young children. Dorchester has museums for those interested in dinosaurs or teddy bears, while at Lulworth Castle and Park there is an animal farm as well as an adventure playground. In Wareham you can see the largest collection of chimpanzees outside of Africa at Monkey World – Ape Rescue Centre; there is an adventure play park there too. At Abbotsbury Swannery, you might be lucky enough to see cygnets hatching. Putlake Adventure Farm in Swanage will delight with its farm animals, and it has an indoor play centre for rainy days. 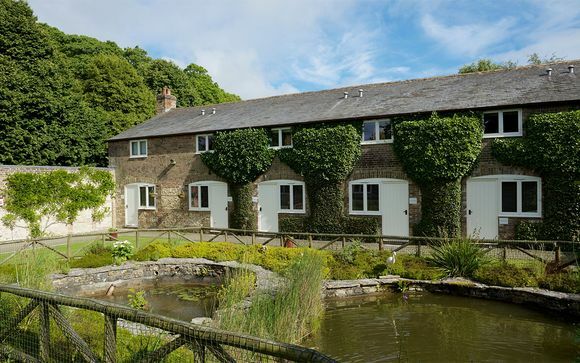 Greenwood Grange is a collection of charming stone-built holiday cottages, perfect for couples, families or groups of friends. Accommodation ranges from cosy units sleeping two, to larger properties sleeping up to twelve with log burners and hot tubs! For the sports enthusiasts, there are two top-quality tennis courts, badminton, croquet and boules - there is equipment on site or you can bring your own. Greenwood Grange’s indoor 32ft x 16 ft swimming pool is available for all guests to enjoy and has changing rooms and a coin operated sauna. There is an outdoor children’s play area with swings where our younger guests can use up some of their boundless energy and, if that’s not enough, the giant trampoline should do the trick! Explore the nature trails, get up close to the living willow constructions, hunt for the resident hedgehogs, learn about growing organic home produce in the fruit and vegetable garden and enjoy the natural environment of this exquisite part of Dorset. Each cottage is individually designed. They all feature cosy, homely furnishings and the highest modern standards of bathroom and kitchen. The kitchen is well equipped with all the necessary appliances including fridge / freezer and dishwasher. The sitting room area has TV and DVD player, plus access onto a shared communal enclosed garden. The nearest railway stations are Dorchester South and West. From London Waterloo, direct trains arrive at Dorchester South (the main station) within 2 and a half hours. Taxis are available at the station.